There’s no doubt about it – grammar just isn’t much fun. It’s full of complicated rules prescriptions that can seem awfully arbitrary when you’re trying to fulfill them. But grammar is the gateway to communication. If you learn to use grammar well, you’ll learn to communicate well. That’s why you should study grammar or at least use free grammar check and correction. However, it doesn’t have to be a dull grind. Read on to find out how to make it easier. If you struggle with grammar, simple exercises can help you to improve. They’re a lot more interesting than just reading rules over and over again, and they allow you to practice things in a hands-on setting. Most people retain facts better when they learn them in practical way. Thus, if you use exercises, you can keep your attention on the subject and keep your memory working in high gear too! However, finding them is not always easy. We’ve put together a list of exercises for you that can help you increase your skills. These grammar exercises from Purdue Owl and Grammar Byes will get you well on your way to becoming a guru of essential grammar rules. Adjective or adverb: These multiple-choice and fill in the blank exercises will teach you the difference between adjectives and adverbs by testing you on which is which. Quick hint: adjectives modify things. Adverbs modify actions. Appositives: An “appositive” is a noun phrase that modifies the noun phrase next to it. For instance, “The cat, a ginger tom, leapt on the dresser”. How can you spy them? Use this exercise to figure it out. Articles: This exercises lets you practice a/an rules. Typically, you use ‘a’ before a word with a consonant and ‘an’ before a word with a vowel, but it can get trickier than you think, so try this practice! Count and Mass Nouns: Do you know the difference between count nouns (like “man” and “apple”) and mass nouns (like “water” and “mud”)? Test your knowledge with this helpful exercise. Prepositions: This exercises discusses prepositions of direction, such as to, towards, onto, in, or into. Prepositions are tricky little bits of speech, so don’t miss this one. Tense Consistency: This list lets you practice tense shifts. Is it past, present, perfect, imperfect? You’ll soon be an expert at spotting the difference. Comma Splice: Comma splices occur when you join two complete sentences, they should be joined with semicolons. See what we did there? Practice your comma splice-spotting abilities with these exercises. Fragments: Fragments are incomplete sentences which. Did you spy that fragment? Either way, check out these exercises to learn how to avoid fragments. Apostrophes: Where should an apostrophe go? Is it it’s or its? Is it dogs’ or dog’s? Check out these exercises to find out. Commas: Commas are the bane of most writers’ lives. Practice them with these helpful interactive exercises. 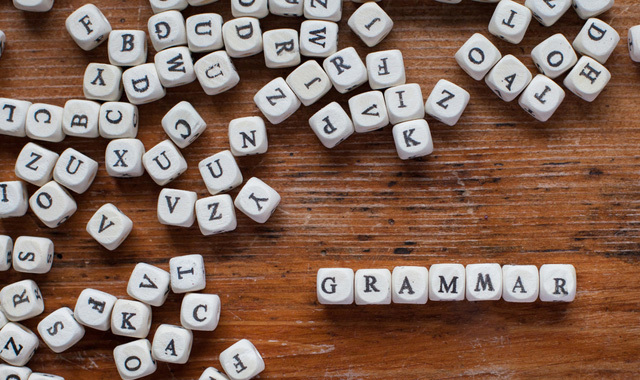 Grammar, though hardly the most fun-filled thing you’ll ever learn about, is certainly rewarding. Once you learn the rules, you’ll find yourself with an increasingly practical skillset that you’ll be working on and growing all your life. But no matter where you are in your journey, a little help never hurt anyone. Don’t be afraid to reach out and ask. To find out more about the best grammar exercises and what they can do for you, check out our website now!